Our mini tote canvas lunch bag is perfect for anyone to carry their lunch around in. 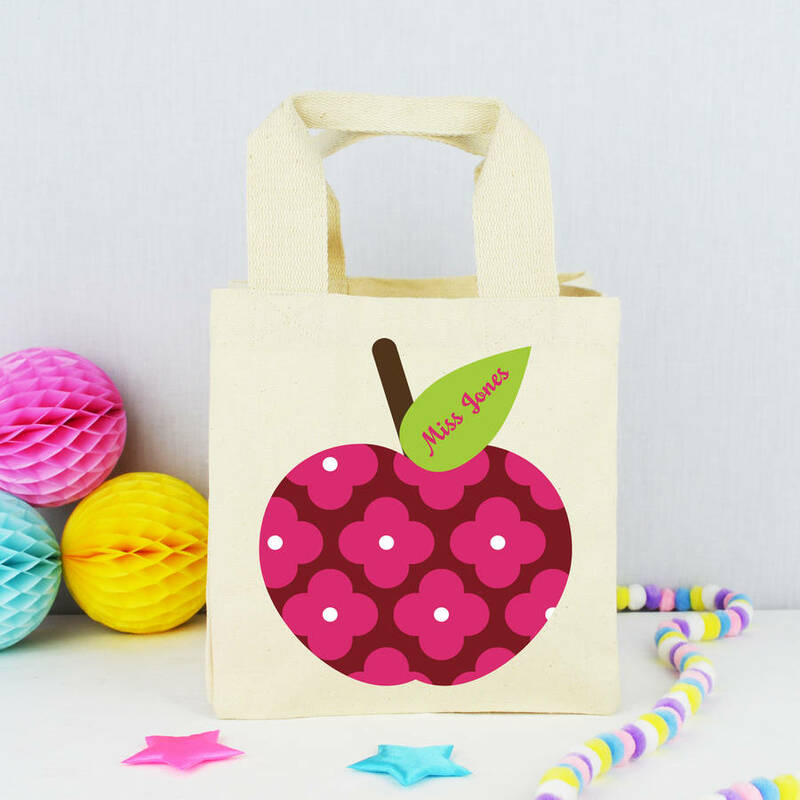 These are the perfect solution for your children to carry snacks and/or lunch in this little box shaped bag, using this as a lunch bag for school, and with the added bonus of having their name printed on the front of this bag, means that they will always know which bag belongs to them! First name, or, first and last name can be printed. Perfect to give also, as a gift to a Teacher or Nursery assistant that has looked after your children this term, they make a lovely keepsake and can be used for many things. 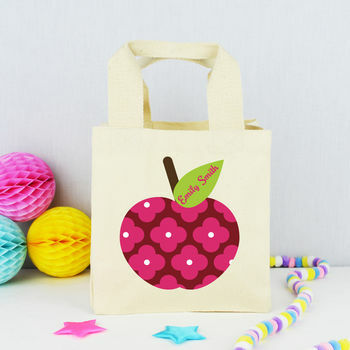 A gorgeous Apple is printed on the front of this bag along with the name of the person that you are purchasing it for. 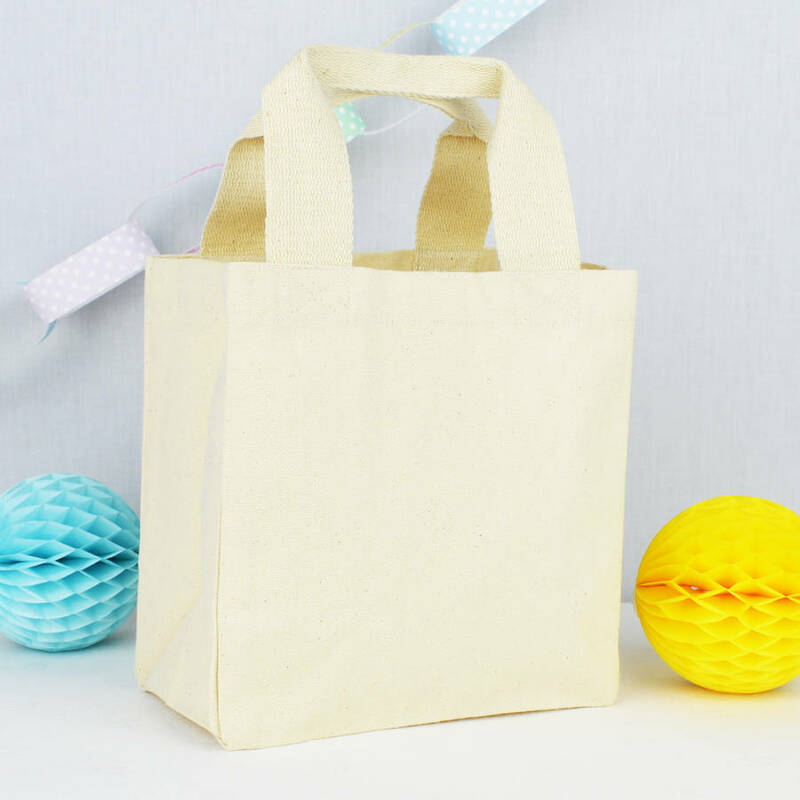 It makes a perfect gift bag, and its boxy shape is sturdy yet versatile. These bags have short webbed handles. Our canvas lunch bag is made from 100% heavyweight Cotton Canvas and features short, pinched webbed handles and a spacious gusset.